I've been using the Starter Kit and refill cartridges from Electric Zebra for quite a while now and feel I can offer a full review. I like the Zebra print battery, the black cartridges and green LED light, in fact my review is mostly positive. The only possible negative I'll mention is orders are not delivered as quick as some other vendors. So I'd suggest ordering a week in advance just to be absolutely sure you don't find yourself in the shops buying some analogues (nickname for cigarettes) . It's not the cheapest starter kit I've found but at £12.95 plus cashback it's still one of the best priced and their cartridges are the cheapest I can find. 14 cartridges for £10 plus cashback of 12.62% using TopCashBack*. Tested, I effectively paid £8.74. Starter Kit £12.95 plus 12.62% cashback, I effectively paid £11.32. I'm going to rate this 9 out of 10 for being of outstanding value and quality. The primary reason many people consider vaping is the potential health benefits. For newbies it's worth noting propylene glycol’s ability to absorb and trap water can cause feelings of dehydration, it’s a good idea to drink a little extra water or juice whilst vaping to counter act this. In addition, some e-smokers may be sensitive or allergic to propylene glycol, using e-juice made entirely from vegetable glycerin can help avoid this. However any tightness in the chest will usually stop once your body gets used to propylene glycol, the same thing happens to people using asthma inhalers for the first time. There seems to be conflicting information regarding whether or not nicotine on its own is a carcinogen most studies tend to find nicotine beneficial to health when all the other cigarette nasties are taken away. 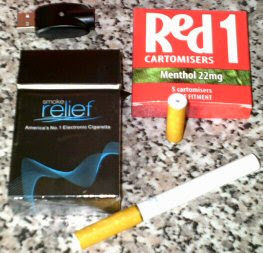 However nicotine can have unwanted effects on the circulatory system and blood sugar levels. Nicotine appears to be dangerous during pregnancy and can interfere with breastfeeding. So it is important to consider all of these factors; consulting a doctor before using eCigs may be a good idea. 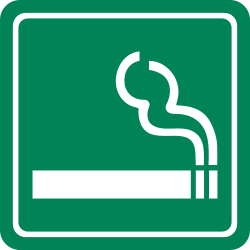 Cigarette smoke on the other hand contains substances such as carbon monoxide, tar, arsenic, ammonia, cyanide and acetone among many others. I doubt you need me to tell you why they're bad. If you aren’t considering switching to e-cigarettes for the health benefits, the cost of cigarettes is likely a motivation. 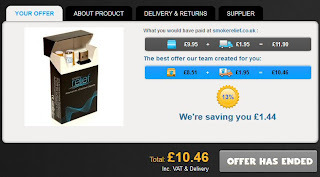 I addressed this in my previous post Are eCigs cheaper than Rolling Tobacco in the UK. E-cigarette vapour has a mild scent that lingers in the air for just a few seconds before fading away permanently, it smells nothing like smoke. In most cases, you can’t smell e-cigarette vapour at all unless you're next to the person vaping. Some non-smokers hate being around cigarette smoke, sometimes due to legitimate allergies or group-think; the lingering odour of tobacco can offend. Since I started vaping my sense of smell has improved slightly but awareness of cigarette smoke is in a league of it's own, even walking down the street I can detect if someone is smoking at great distances, although I don't find the smell offencive many do. There is no Government Regulation forbidding vaping, any business respecting their customers have no reason to forbid it. Furthermore there's no lingering smell so, for example, a car rental place would have no way of knowing or passing judgement once a car is returned. One of the potentially greatest drawbacks on this list of e-cigarette pros and cons hasn’t occurred yet, but it may soon. 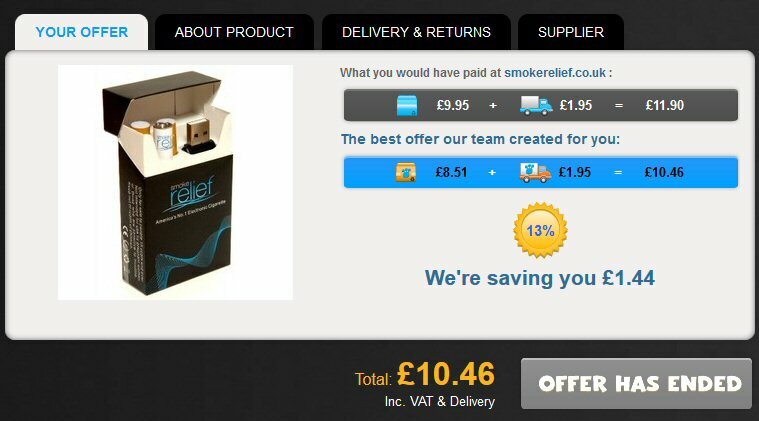 Currently uou can buy e-cigarettes online or in shops and they aren’t subject to tobacco taxes. Further more the e-cigarette industry enjoys very little regulation. All of this is likely to change, the MHRA announcement this week says eCigs should be regulated as medicine. TV and newspapers presented this as shocking news eCigs may be bad but other than catchy headlines there still isn't any evidence of that. The problem is this will, if it all comes to pass, make eCigs more expensive for no good reason, after all Tobacco and Alcohol aren't regulated as medicine!